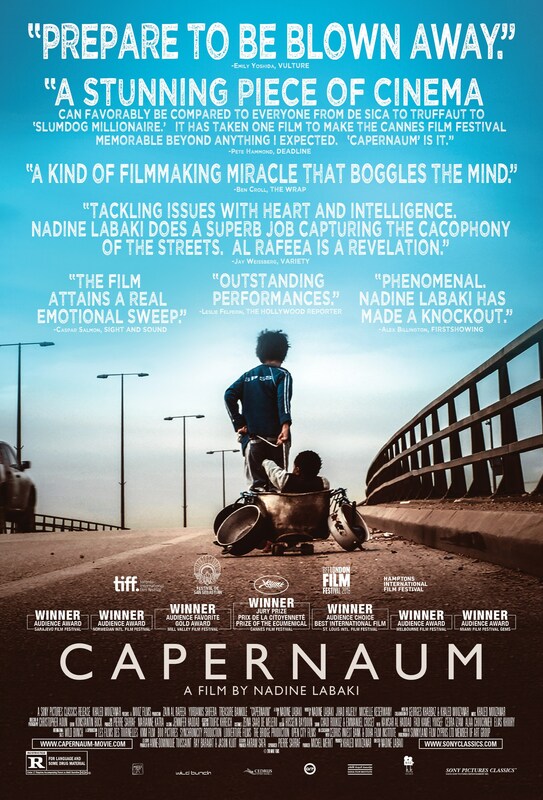 After Hours Film Society presents Capernaum (Capharnaüm) on Monday, April 15th at 7:30pm. Admission $6 members, $10 non-members. After running away from his negligent parents, committing a violent crime and being sentenced to five years in jail, a hardened, streetwise 12-year-old Lebanese boy sues his parents in protest of the life they have given him.